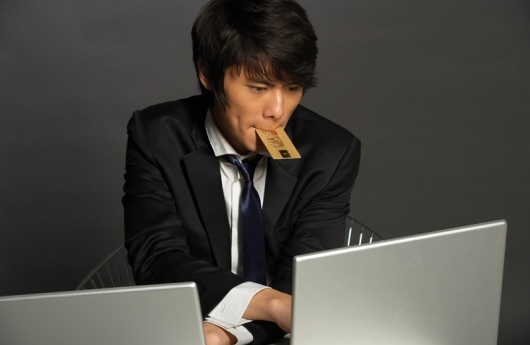 Is an Internet Sales Tax a Solution to a Problem That Doesn’t Exist? With a stagnant economy and declining revenues, national, state, and even local governments are actively looking for new sources of income to fund government operations. One of the first places legislators look is the Internet. Although online shopping is still in its infancy, its growth has been nothing short of spectacular. The Bureau of the Census estimated there were $4.1 trillion in retail and wholesale transactions conducted over the Internet in 2010 and now everyone wants a piece of this pie. Government entities at every level see online sales as an enormous new source of potential revenue. As their efforts to enact legislation to tax this new revenue stream increase, they have mounted a massive PR campaign to convince their constituents that taxing online businesses will level the playing field and offer significant benefits to traditional “brick and mortar” businesses in their districts. Large retailers like Walmart have jumped on this online taxation bandwagon, because they already have to charge tales tax on their online transactions anyway, largely as a result of having a physical presence in almost every state. It’s a completely different story for smaller online retailers. The so-called Marketplace Fairness Act could be devastating for these businesses. The Marketplace Fairness Act represents a radical departure from existing tax law. If this legislation were to become law, individual states could begin to collect sales taxes on transactions that take place outside their borders. This is a significant expansion of current state taxing authority and is fundamentally unfair to smaller businesses. 83% of online sales currently come from “Big Box” retailers like Walmart, Best Buy, and Amazon. These companies already have a physical presence in most states and do collect sales tax on Internet sales. That’s why even though large retailers generally support the concept of an online sales tax; it could still hurt thousands of start-ups and smaller retailers. These small businesses and an increasing number of their legislators now think that it would be an administrative nightmare for smaller business to comply with complex online sales tax laws, since each state and municipality can make their own rules. With thousands of different tax jurisdictions, each imposing their own tax rate, it could be extremely difficult for sellers to deal with a different set of rules for every out-of-state buyer. 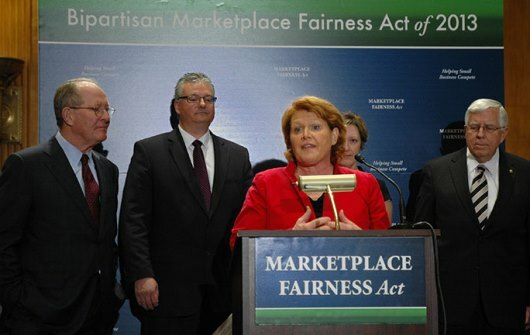 Will The Marketplace Fairness Act Pass? It is becoming increasingly clear that an Internet Sales Tax may be a solution to a problem that doesn’t even exist. After thirteen years of shopping online, these purchases still only represent 6% of total retail sales. In most jurisdictions, the traditional sales tax base is still solid. Despite strong bipartisan support in congress, the Marketplace Fairness Act still faces a number of significant hurdles. The biggest of these hurdles is that an increasing number of people now believe that empowering states to collect sales taxes on transactions outside their own borders represents a radical departure from current tax policies and is fundamentally unfair. Rep. Morgan Griffith and Speaker John Boehner both predict that the Marketplace Fairness Act will not pass on the House floor. With online sales continuing to grow at an astounding 16% a year, online taxation is not an issue that is going away soon. State and local governments still want a share of this lucrative pie. The real question now is whether it is fair to collect taxes to pay for local and state governments from a national audience. The jury is still out on this fundamental question. Gevril Group is the exclusive US representative for select European watch brands, distributing and servicing luxury, fashion and sports timepieces at a wide range of price points. Gevril Group also operates a full-service watch repair department staffed by master Swiss watchmakers. Contact Gevril Group by email or by calling 845-425-9882. Is the Party Over for Online Retailers? Online retailers have revolutionized the way today’s consumers shop. People of all ages are discovering that shopping online is safe, convenient, and often less expensive than shopping at conventional “brick and mortar” stores. This new industry is still in its infancy, but its growth is nothing short of spectacular. The U.S. Bureau of the Census estimated there were $4.1 trillion in retail and wholesale transactions over the Internet in 2010 and this number is expected to get much larger in the years ahead. Since current sales tax laws typically only apply to goods and services purchased in the seller’s home state, new Internet businesses have benefited by selling their products tax free to out-of-state customers. Until recently, politicians have supported this practice, because it encouraged the growth of a whole new type of industry and politicians know that business growth means new jobs. Opinions are changing however, and the party may soon be over for Internet retailers. Traditionally, state governments have relied on sales and use taxes for roughly a third of their total tax revenue. Local governments depend on sales taxes too, and derive over 11% of their tax revenue from sales and use taxes. With online sales booming, these governments are seeing a dramatic decline in revenue. It is estimated that Internet transactions were responsible for an estimated loss of $11.4 billion dollars in revenue to state and local governments throughout the United States in 2012. With a stagnant economy and declining revenues, governments are looking for money anywhere they can find it. One place they are turning is online sales. Many legislators think that taxing online sale will level the playing field and be beneficial to traditional “brick and mortar” business in their constituencies. That is why large retailers like Walmart currently support an online sales tax. Many legislators aren’t as concerned about this perceived “fairness” issue. They just see online sales as an enormous new source of potential revenue. Although a few larger online retailers like Amazon support the concept of an online sales tax, the tax could be devastating for smaller retailers. Many think it would be an administrative nightmare to comply with an online sales tax law, since each state and municipality has their own tax laws. With thousands of different tax jurisdictions, each imposing their own tax rate, it could be extremely complex for sellers to deal with a different set of rules for every out-of-state buyer. Despite the complexities, the Marketplace Fairness Act has strong bipartisan support in congress and the legislation is expected to pass as early as May 6. With government at every level hungry for new sources of revenue, it’s hard to find opposition to the proposed Internet sales tax. Even those who have pledged not to increase taxes tend to support this bill, saying that it is not a new tax, but simply a mechanism that allows states to more effectively enforce existing tax laws. With online sales continuing to grow at an astounding 16% a year, it is increasingly clear that state and local governments are going to want a share of this lucrative pie. Gevril Group is the exclusive US representative for select European watch brands, distributing and servicing luxury, fashion and sports timepieces at a wide range of price points. Gevril Group also operates a full-service watch repair department staffed by master Swiss watchmakers. 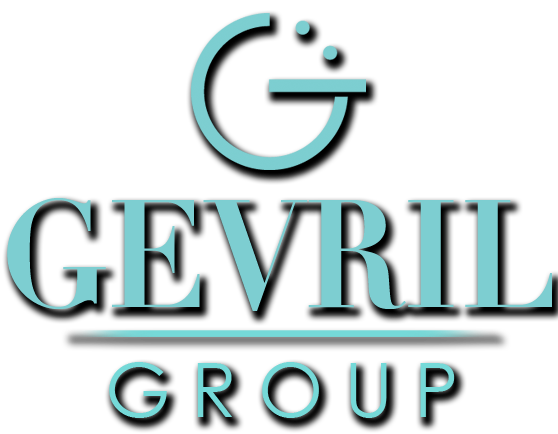 Please subscribe to the Gevril Group newsletter and blog updates. Reader comments are welcome. Is it Fair to Charge New Yorkers Sales Tax for Online Purchases? The ability to make purchases online without paying state sales tax is something that online merchants and customers alike have grown to love. For many years, this sales tax exemption was considered a win-win proposition for everyone. States and municipalities were more than happy to grant the sales tax exemptions to online merchants to encourage new business and job growth. Buyers were more than happy to save some money as well, especially as they began to discover that buying online was as safe and secure as any other type of transaction. As the economy began to deteriorate, some states began to change their opinion on taxing online sales. These states were strapped for cash and needed to find new revenue any way they could. As traditional “brick and mortar” business began to migrate online, these states found that they were losing a once reliable source of revenue. Instead of granting tax exemption to encourage online businesses to locate within their states, they now wanted to tax these businesses as well, to regain the revenue they were losing from traditional retailers. New York State Leading the Charge? New York State seems to be leading the movement to charge sales tax on online sales. Currently, New York is one of only two states where popular online retailer Blue Nile charges sales tax to New York residents. Online giants like Amazon and Overstock are also required to now charge state sales tax to New York residents. 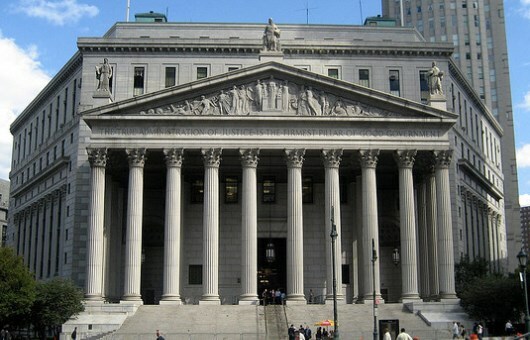 Unhappy with the new regulations, Amazon and Overstock challenged the state law and on March 27, the New York State Supreme Court rejected their challenge, affirming the state’s right to collect sales tax from any online business that had a “nexus” or a physical presence in the state. This issue is not over yet. As more and more states are faced with budgetary shortfalls, they are increasingly turning to the world of online retail as a potential source of revenue. This is not a popular move with customers and even with some jurists. In 2012, an Illinois court struck down the state’s online sales tax law, ruling that the law violated the Commerce Clause of the U.S. Constitution. One thing is certain. Online sales will continue to grow in popularity and state governments will continue to need revenue. It is unclear at this point how this issue will be resolved in a way that is fair to everybody. At least one retailer, Overstock, says that they are willing to accept an “appropriate” federal solution to the issue.